Movie is based on the novel "Neukdaeui Yuhok" by author Gwiyeoni. Story was first published as an internet novel in 2002 and then published in novel form in 2004.
mona lisa Jul 27 2018 4:29 am i love watching kang dong won movie.. and i am watching all his movies since i first watch his movie "Duelist"
bil Jul 23 2018 11:32 am Watched this movie in 2018, I must say that I enjoy this movie. Despite the story escalate very quickly and there are a lot of scenes happen without showing proper reason, it is actually a very enjoyable movie. 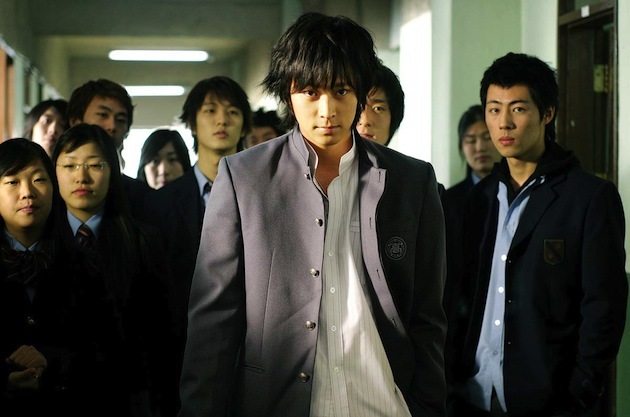 I had fun watching the movie plus Kang Dongwon is just seriously an eye candy. I would recommend this movie if you guys want a light sad enjoyable love story. It wasn't sad for me but yeah different people feel differently. Nhung Jul 25 2012 8:56 pm I love Kang Dong Won so much! I saw all his movie and They always makes me cry! Hannah Jun 14 2012 9:09 pm Wheew,. this is awesome!! imagine i watch it 3 times and it always make me cry,. Ban hae-won is cute,. i like the twist of the story,. the best movie i ever seen so far,. Consus Jan 31 2012 5:38 pm Awesome movie. Both Sad and happy at the same time. Didn't catch the part about the eyes. But now I know. klick Jun 26 2011 6:34 pm btw the director's good. klick Jun 26 2011 6:23 pm it's a teeny bopper movie. the three main actors, as characteristic of all teeny boppers, are charming "eye-candy." it's all light and fluff, entertaining and "quarky" cool. it's fun to watch. don't think. Banu Dec 23 2010 2:50 pm This movie is my fav Korean movie of all time.. was the reason I start to watch asian movie / drama.. they are so unique and story is amazing.. 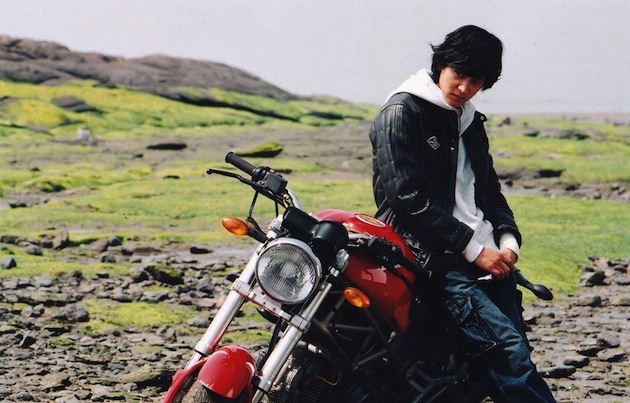 Temptation of Wolves a must watch movie TT so sad I fell in love with Kang Dong Won such a great actor.. actors in this movie are all great..
kawaiikahji Apr 17 2009 11:50 am kang dong-won always makes me cry!! !